Wooden Rosary Hanging In Front Of Library. No Movement Camera. 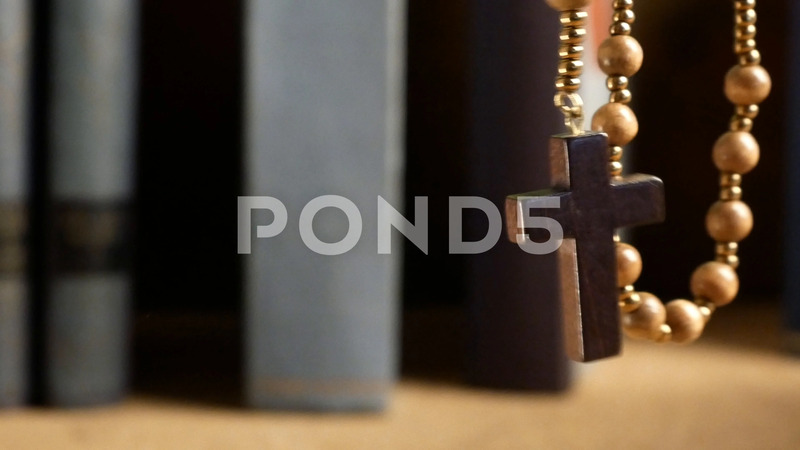 Description: Wooden Rosary Hanging in Front of Library. No Movement Camera.